Matt Kemp's new tattoo. 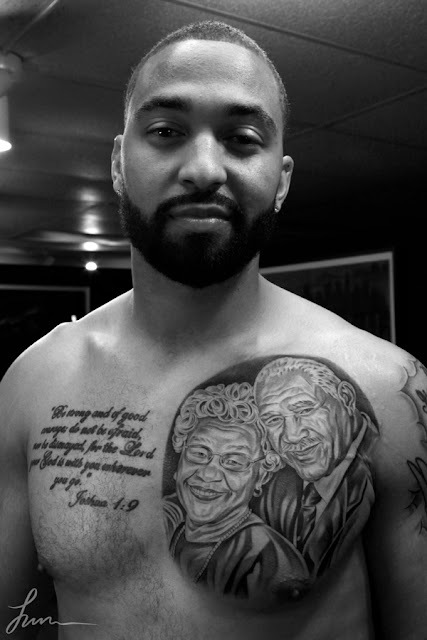 Kemp pays tribute to his grandparents with a new chest tattoo. I'm not trying to be disrespectful to Matt Kemp or his grandparents but my first thought was it's embarrassing enough to have somebody's parents bust in and coitus interruptus but having grandparents watching the whole time is well...a mood breaker?!!! Just like MOST tats....that's horrible! 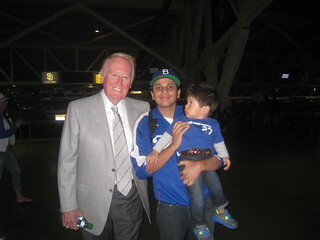 Kemp needs to hit the wieght room..Looking kinda like skinny swag in this pic..Lets go Beast Mode..throw up some iron. Maybe he just needs some BarROID type juice! 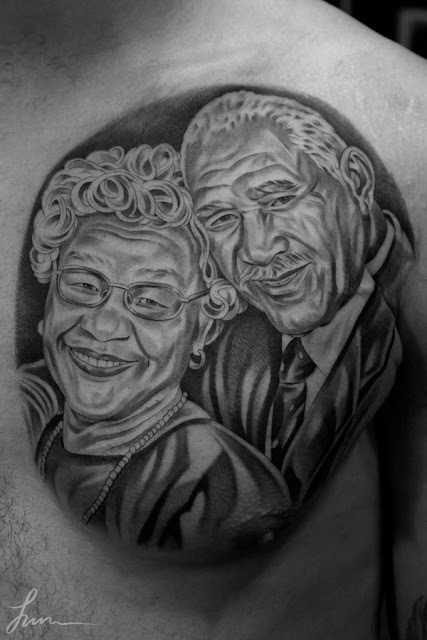 That is one dreadful tattoo. Why, Matt? Why?